Elegant, charming and often faced with deadly danger, Lady Penelope is International Rescue’s invaluable London Agent… but did you know that she also had a sideline as a detective? 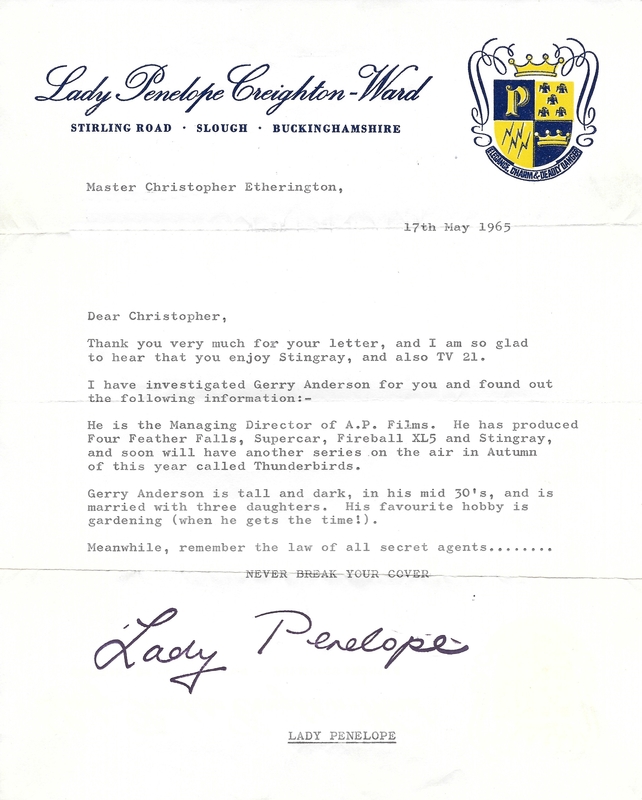 In the days of legendary British comic TV21, fans could write to Lady Penelope and Parker and ask them to investigate famous people and report back via letter. 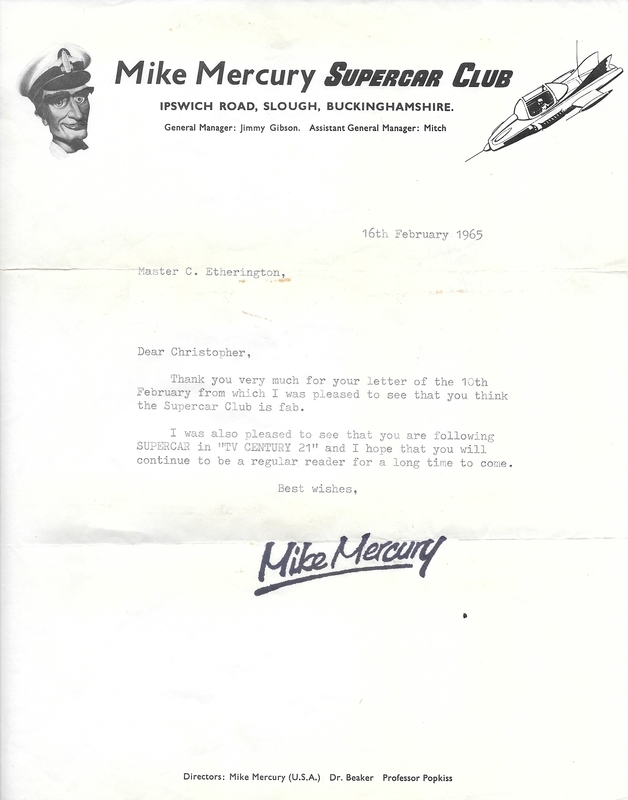 One fan who did just that was Chris Etherington, who has kindly allowed us to share some of the replies he received from Lady Penelope and from Supercar’s intrepid pilot, Mike Mercury! We would like to thank Chris for sharing these wonderful letters with us. 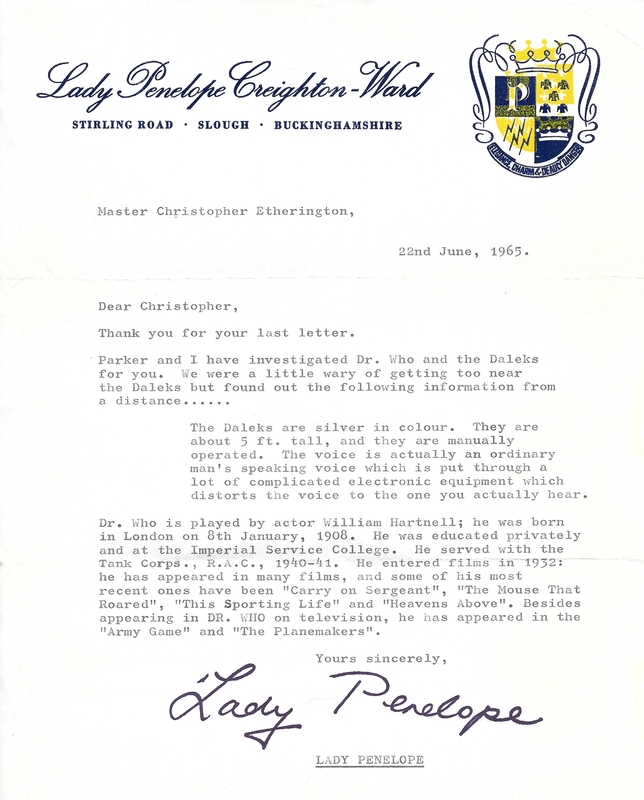 Did you ever write to Lady Penelope? Let us know in the comments section! On her first appearance in Thunderbirds, she is 26 years old. She is the daughter of aristocrat Lord Hugh Creighton-Ward and his wife, Amelia. The early years of her life were spent at Creighton-Ward Mansion. Later, her father was requested by the government to travel to India to organise a tea-growing community. The Indian climate did not agree with Penelope, so she returned without her parents to England, where she was put into the care of a governess, Miss Pemberton, with whom she quickly bonded. At the age of eleven, Penelope was sent to the prestigious Roedean School. She excelled in many subjects and became very popular among her peers; she was later elected head girl. Upon leaving Roedean, Penelope attended a finishing school in Switzerland. Here, she became a skilled skier and linguist, being able to speak fluent French, German and Italian. Lady Penelope is best known as a member of British high society, as well as a fashion icon. However, after completing her education in Buckinghamshire, she rejected the aristocracy’s endless round of social engagements and became a secret agent. It was while working as the chief operative of the Federal Agents Bureau (FAB) that Penelope first met Jeff Tracy, the founder of International Rescue, and immediately accepted his invitation to become IR’s field agent in London. Previous article Big Chief Studios Thunderbirds and Captain Scarlet Figures Revealed! Next article Thunderbirds Tomica Mini Models Are Go!